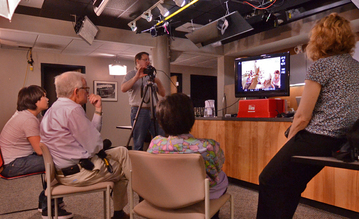 We had 5 people take part in this special DSLR class featuring the Nikon D7000. We learned about the histogram, auto focus modes and tracking as well as rolling shutter, white balance, the intervalometer, using the DSLR as a video camera and so much more. Look for another DSLR class forming here in a few months.